[S185] Charles Edwards Banks, History of York, Maine, p. 114. Lydia Alcock was born in 1644.2 She was the daughter of John Alcock and Elizabeth (Unknown).2,3 Lydia Alcock married Rev. Shubael Dummer, son of Richard Dummer and Jane Mason, in 1656 in Salisbury. Her name has also been found as Mary Richworth or Rishworth the daughter of Edward Rishworth of Exeter and Wells and his wife, a daughter of the Rev. John Wheelwright.1,4 Lydia Alcock died either during or some time after 1692 when she was captured in the massacre that was the cause of her husband's death. Some reports say she quickly died whilst others say she was eventually redeemed. [S185] Charles Edwards Banks, History of York, Maine, p. 115. "He achieved what was probably his greatest success in life by marrying Miss Abby May." All reports concur in extolling her patience, endurance, and placid good nature under much privation and serious perplexity. She reflected Mr. Alcott's own beautiful spirit, and their home, however humble, was a very happy and attractive one. For about three years after his marriage Mr. Alcott endeavored to establish a school in Germantown, Pa. It was in this place that his daughter, Louisa May, was born. Not meeting with the success he desired, Mr. Alcott returned to Boston with his family and undertook a school in the old Masonic Temple in Tremont street. He had as his assistants Margaret Fuller and Elizabeth P. Peabody. The school had a wide reputation, and for several years good success, but finally lost caste and failed. His views, as set forth in Conversation with Children on the Gospels, published 1836, induced some of his patrons to remove their children from his school, and others were seriously annoyed when he received a coloured girl as a pupil. A second time the school was closed, and Mr. Alcott removed to Concord, Mass., at the instigation of Ralph Waldo Emerson. [S130] Massachusetts Vital Records, Boston deaths in 1888, 393:86. [S205] Newspaper, The Congregationalist, (Boston, MA) Thursday, March 08, 1888. May Alcott was born in December 1840 in Concord, Massachusetts. She was the daughter of Amos Bronson Alcott and Abigail May.1 Her education in art was obtained in Boston, London and Paris, where she lived after her marriage. She became a successful copyist, and did good work in still life in oils and water colors. John Ruskin complimented some of her copies from Turner, and her own work was placed in the South Kensington school in London for the pupils to observe and copy. Concord Sketches, with a preface by her sister, Louisa May Alcott, was published in 1869. 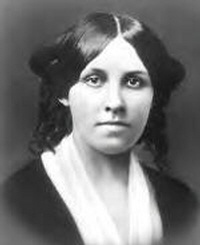 May Alcott married Ernest Nieriker in 1878.1 May Alcott died on 29 December 1879 in Paris, France. Major (?) Alden married Wealthea Wadsworth, daughter of Deacon Peleg Wadsworth and Lusanna Sampson, in 1780. Charles Donald Alden was born in 1913. He was the son of Frank Edward Alden and Anna Elizabeth Garmire. [S264] Ebenezer Alden, Descendants of John Alden, p. 84. Clarence Leroy Alden was born in 1877. He was the son of Charles Peck Alden and Lora Kiser. Clarence Leroy Alden died in 1878. [S232] Ancestry.com, Washington, Deaths, 1883-1960. [S468] Wikipedia, online http://en.wikipedia.org, John Alden. [S64] Robert Charles Anderson and George F. Sanborn Jr. & Melinde Lutz Sanborne, The Great Migration, Alden, John. [S392] Website findagrave.com (http://www.findagrave.com/) "# 102347878." Richard Carter Alden operated a farm called Belwood in Groveland, N. Y., where they raised Black Angus cattle. It was here that the grandchildren learned the delights and rewards of farming. Mr. Alden retired in 1970 and they moved back to Maine. They bought a house in New Harbor and he became active in the town serving as a selectman and as Chairman of the Bristol Republican Committee. For some years, he was on the University of Maine Development Committee and actively promoted and raised funds for the Performing Arts on the Orono Campus. He was predeceased by his wife of 69 years; his sister, Elizabeth A. Kerr of Portland, and brothers, David Bruce Alden of San Francisco, Calif., and Chester Whitcomb Alden of North Carolina. He is survived by his brother, John Miller Alden of Virginia; his three daughters, Susannah Alden French of Round Pond, Margaret Pfeffer Forbes of Albuquerque, N. M., and Christiana Stevens Poole of Newcastle; his nine grandchildren, Charles A. Pfeffer IV of Fairport, N. Y., Amy-Louise Alden Pfeffer of Conway, Mass., Richard Alden Pfeffer of Portland, and Elizabeth Alden Pfeffer of Albuquerque, N. M., Jennifer French Foster of Rumford and Aaron Hubbard French of Portland, Kirsten Stevens Venghaus of Bantam, Conn., Alexander Alden Stevens of Portland, Ore., and Samuel Alden Stevens of Sonvilier, Switzerland; and 14 great- grandchildren. Mr. Alden was a close friend, benefactor and counselor to many near and dear over the years. Services will be at the discretion of the family. Portland Press Herald/Maine Sunday Telegram, January 30, 2011.